This new title from Spearhead Games takes the narrative experiments from Stories and takes it to the next level. The camera for the newly announced Omensight has been unlocked a bit for a more immersive adventure and the plot drops players into a full-fledged murder mysteries where your charming and powerful companions could end up being the culprit. I got a hands-on opportunity with it and, ultimately, I came away impressed. Stories was a title I happened upon at PAX South last year and, while I didn’t get to play it in full, it went to enjoy some critical success post-launch. It left an impression on me due to its focus on branching paths, something not often seen in isometric action-adventures like it. 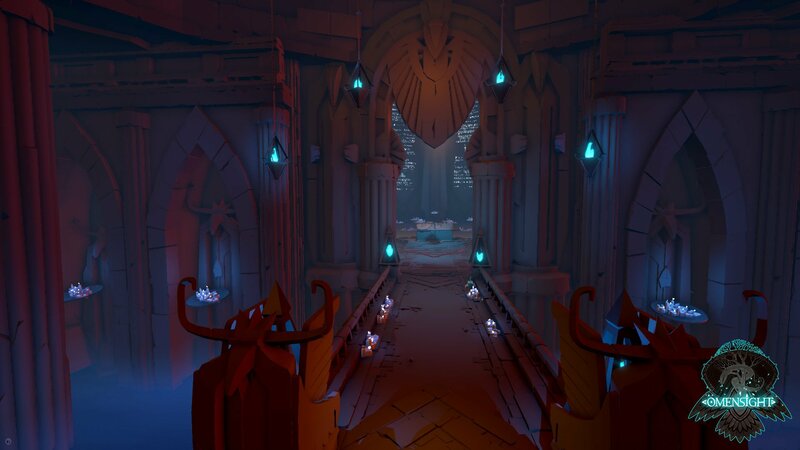 In Omensight, there are branching paths upon branching paths, but you’ll have to relive them groundhog day style to gather the information you need to solve the murder of the godless priestess Vera. The companion I took along with me in the PAX South demo was immediately upbeat and endearing, but I was quickly told that she’s a suspect in all of this. No one is safe from the eyes of the harbinger, the mythical character you take control off. The action is reminiscent of Stories, with you alternating between jumping, attacking, and dodging. You have some special abilities as the Harbinger, but each companion will bring along some additional support abilities. For instance, the young lady helping me throughout the demo dungeon, Ratika, could cast a haste effect on me. In combination with my character's ability to drop a large sphere around me to slow things down, I was able to engage in some super-high-speed damage dealing. At one point, I got overzealous and took out a character that was surrendering. I actually thought the game was having issues, but I noticed the second enemy had his hands up. Apparently, if I’d continued to attack, the AI support character would have voiced her distaste. This element won’t influence the ending per say, but it does bring the game alive by narrowing the narrative dissonance that is often prevalent in action games. Your ruthlessness or kindness will not go unnoticed. Omensight is still in development, but the game felt fairly polished all the way through the boss fight. The world ended soon afterward, right before I learned about the support character in a crucial conversation, but that was the end of the demo. In the full game, I’ll be able to progress even faster and learn more about the people I encounter. For instance, pre-boss fight, there was dead character near the boss’s feet. From a different perspective, I can learn about or even prevent the death of that character and get a few steps closer to solving the mystery. I'm eager to see whodunit when Omensight releases sometime later in 2018.